Hola! Hope you are all having a great weekend so far. So this marks my first interior design post and what better way to start than with my bedroom!! Obviously my inspiration was Breakfast at Tiffany's! Accent Wall: I didn't want it to be too theme-y (yes I just made up that word) and I wanted it to look sophisticated. My mom had given me that framed Audrey Hepburn poster so to tie it into the room I made my accent wall Tiffany & Co. green. I took a Tiffany's box down to Home Depot and had them match it but them lighten it a little bit. I tried to maintain symmetry because it made the room look neater and pristine. 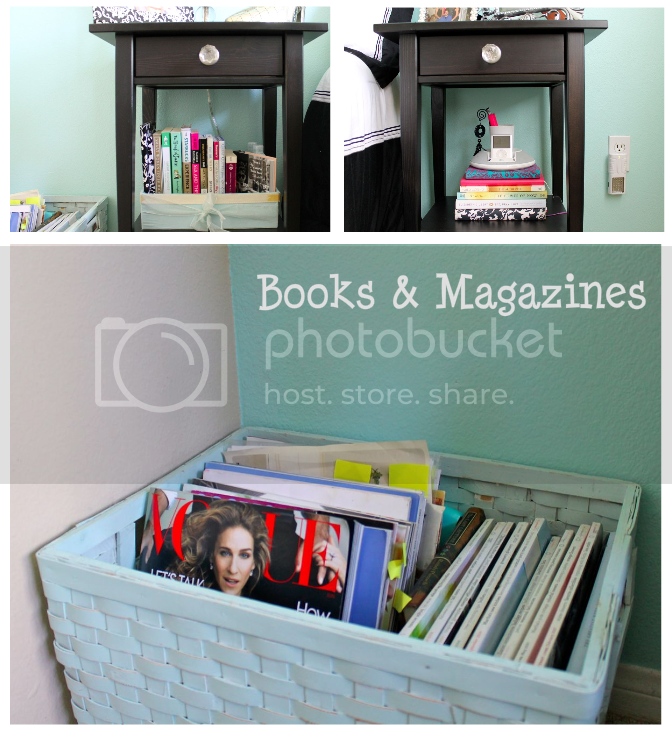 I did this with the pillows & night stands with the matching lamps. The Bed: There's something more grown up about a raised bed, I put mine on risers to make the bed taller by about 4 inches. The Comforters I purchased in separate places, I wanted a simple bed spread as well as some damask pattern for sophistication. 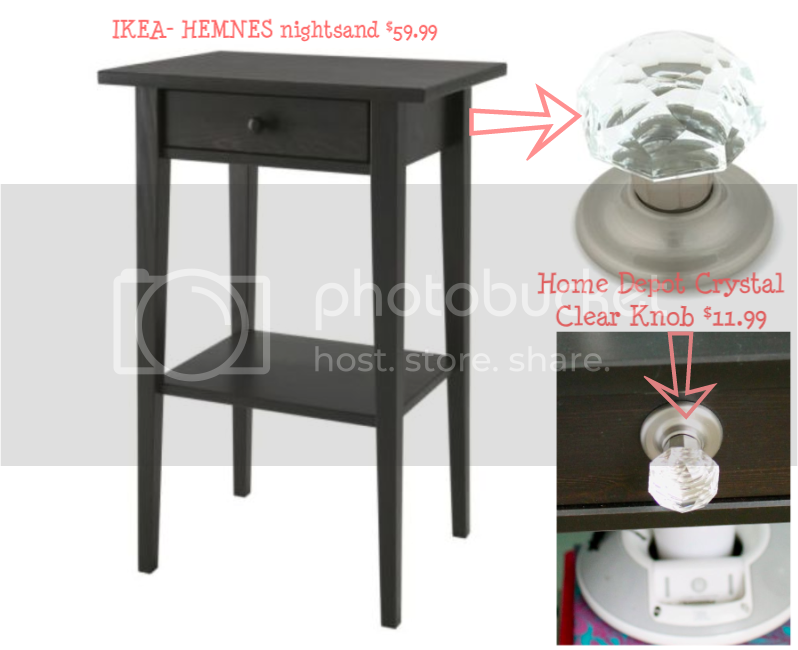 Nightstands: Seeing as I was on a strict budget, I went to Ikea and saw these simple nightstands. 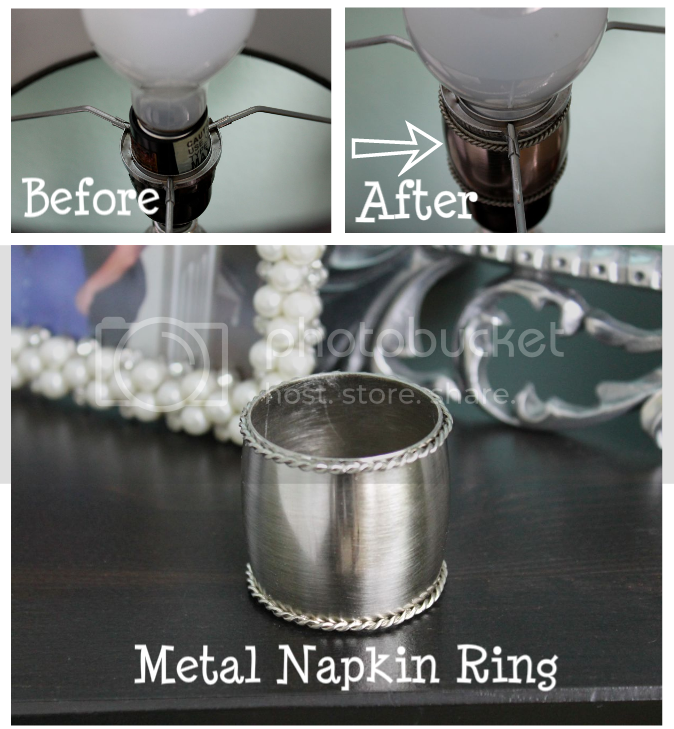 The knobs were boring so I purchased these cute Crystal clear door knobs and switched the knobs out! really awsome and artistic ideas! Great ideas. Thanks for sharing. And Thank you for leaving a comment on my blog. I love the decoration in your bedroom! I need to do a huge makeover on my room to update the designs! Great pictures! i love, love your style!! !check out my blog and let me now what u think!! if u like follow me please!!! so preetty! love all your tips and tricks!